Jeremy Gardiner’s artistic excavation of the geology of landscape is shaped both by human activity and by the forces of nature. Gardiner interprets, through his painting and printmaking, a variety of landscapes that contain the marks and secrets of their own distant formation, giving them a unique, contemporary depth and beauty. 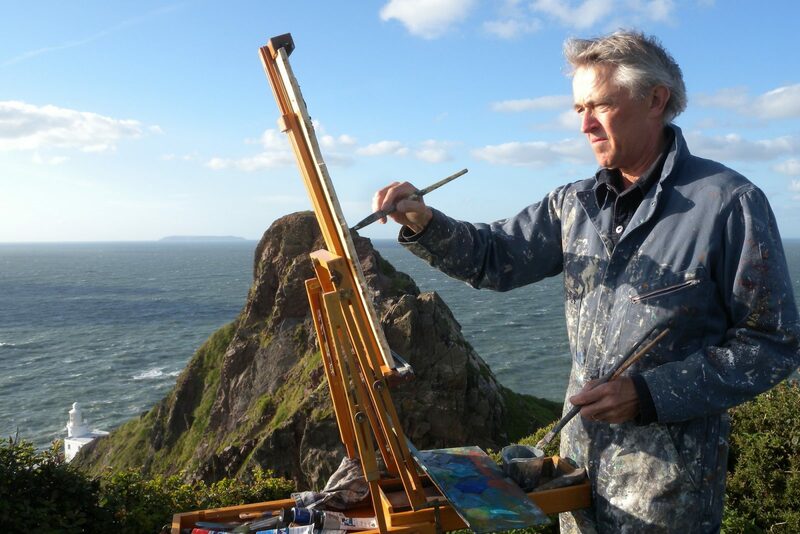 His artistic exploration has taken him from the Jurassic Coast of Dorset to the rugged coast of Cornwall, the Oceanic islands of Brazil, the arid beauty of the island of Milos in Greece and more recently the Lake District and its numerous waterfalls. Jeremy Gardiner is a graduate of Newcastle University and the Royal College of Art. He exhibits regularly with Paisnel Gallery in St James’s, London. His paintings have been exhibited in Europe, the USA, South America, Japan, Australia and China. He has won numerous awards throughout his career including a Churchill Fellowship, a New York Foundation for the Arts Fellowship and a Harkness Fellowship. Gardiner’s paintings are represented in public and corporate collections including the Victoria and Albert Museum, the Government Art Collection, BNP Paribas, Pincent Masons and Ente Nazionale Idrocarburi. In 2013 Gardiner was awarded the prestigious Discerning Eye ING Art prize for Pendeen, the first painting in a series that would evolve into Pillars of Light, his sellout exhibition which took place in September, 2016 at the Paisnel Gallery, St James’s, London. Worden, S. (2015). The Earth Sciences and Creative Practice: Entering the Anthropocene. In H. Dew (Ed. ), Handbook of Research on Digital Media and Creative Technologies (pp. 110-140). Hershey, PA, USA: IGI Global.